The shot that broke over a million hearts. 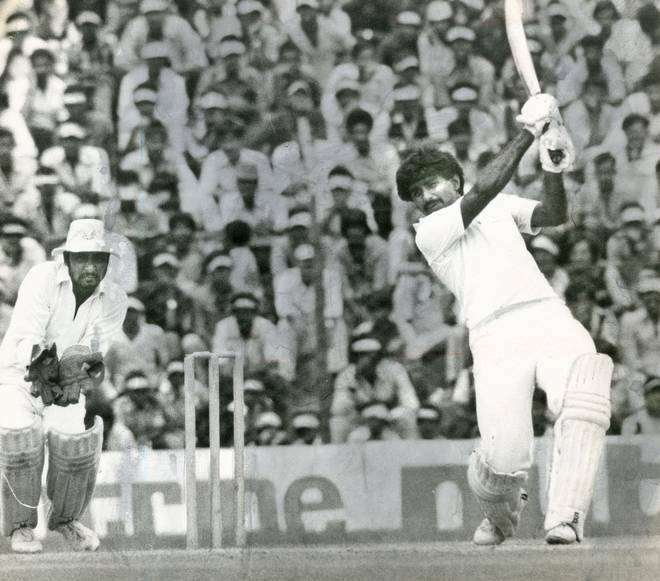 In the Australiasia Cup final in Sharjah, Pakistan were chasing 246, with Javed Miandad scoring a century. Pakistan were nine down when the No. 11 Tauseef Ahmed joined Miandad. Four was needed off the last ball. Chetan Sharma made the mistake of bowling a friendly full toss and Miandad swatted it over square leg for a six. It sparked off wild celebrations and the effect of that six would haunt Indian cricket fans for several years during contests between the two sides. South Africa needed 11 off the final over, bowled by Dion Nash, with three wickets in hand. Chasing 192 in a match reduced to 40 overs, South Africa lost the wicket of Mark Boucher in the second ball of the final over. Klusener was on strike for the last ball with four needed. Klusener smashed it over long-on and South Africa won the thriller by two wickets. Klusener gave a hint of what was to come at the World Cup a few months later. In this Harare thriller, Zimbabwe needed 28 off the last two overs. Brendan Taylor and Tawanda Mupariwa took 11 runs off the penultimate over, leaving 17 off the last. Mashrafe Mortaza bowled the final over. Taylor hit a six off the second ball, and to add to the drama, Mupariwa was run-out off the fifth ball. With five required off the last ball, a six seemed the only option. Taylor did the needful, lofting a six over midwicket. The first match of the bilateral ODI series. Thirteen were needed off the final over, bowled by the experienced Chaminda Vaas. Chanderpaul had lost his partner Sulieman Benn in the previous over, leaving West Indies nine down before the 50th over. Chanderpaul was their only hope. It came down to ten needed off the last two balls. The fifth ball was drilled past mid-off for four. One big hit was needed off the final ball. 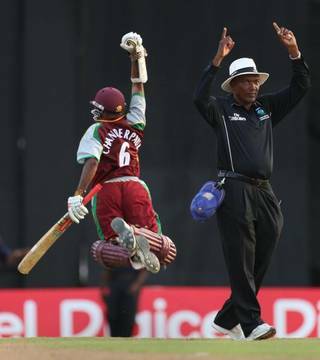 Vaas made the mistake of bowling a full toss, which Chanderpaul lofted over deep midwicket. South Africa were staring at a 3-0 whitewash in front of their home fans in the final one-dayer of the series. They needed eight off the last over with two wickets in hand. South Africa needed to ensure that McLaren got as much of the strike as possible but Dale Steyn played out three deliveries from James Franklin and was out caught off the fifth ball. The saving grace though was that the batsmen had crossed so McLaren would have the strike for the final ball. With three needed, Franklin bowled it short and McLaren pulled it for six over long leg to give his team a consolation win. Another tournament final, but this time India were at the other side of the fence. 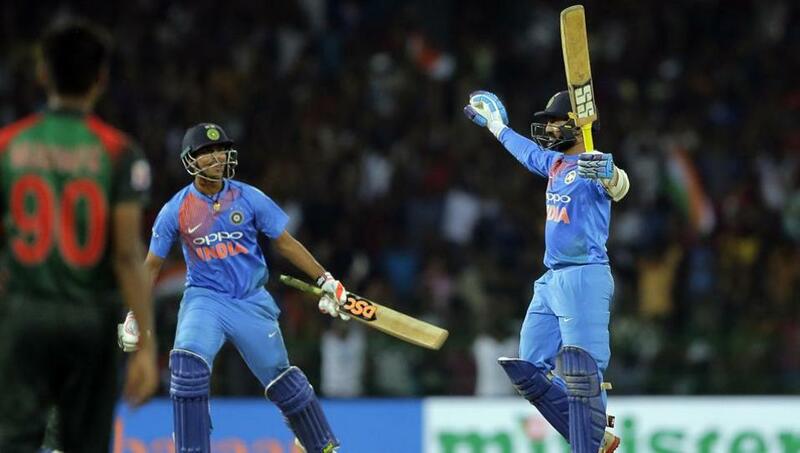 India huffed and puffed in their chase of 167 and following a brilliant 18th over by Mustafizur Rahman, India needed an improbable 34 off the last two overs. The 19th over from Rubel Hossain changed the game. The over read 6,4,6,0,2,4 – all the runs scored by Karthik, who was strangely sent in below the more inexperienced Vijay Shankar. It came down to a more manageable 12 off the final over. Shankar was caught off the fifth ball, but Karthik had crossed so he took strike for the final ball. Soumya Sarkar, a part-time bowler, had to hold his nerve. Bangladesh needed to ensure they don’t concede a boundary, since a four would have tied the game. With five needed, Karthik smashed the sixth ball for a flat six over cover. If the Harare heartbreak was bad enough for Bangladesh, this was worse, since it came in a tournament final, against giants India. No team won this game, but for Australia, it felt like a defeat. Pakistan needed 17 off the last over when the Australia captain threw the ball to Steve Waugh, who during the previous World Cup established a reputation for bowling well at the death. It didn’t work this time though as Asif Mujtaba, a middle-order batsman who had a reputation for being a good finisher, smashed the final ball for six to level the scores.